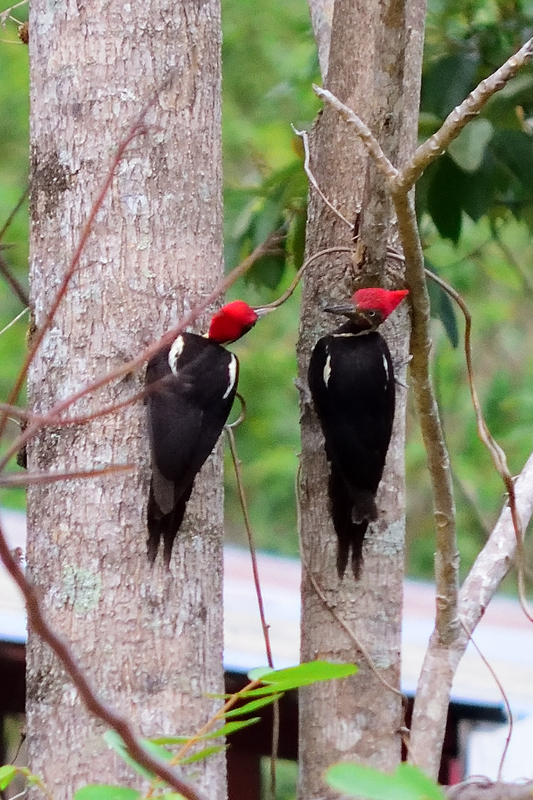 I saw these two Lineated Woodpeckers out the kitchen window as I was doing dishes. I don't recall ever seeing two together, usually they are solitary. 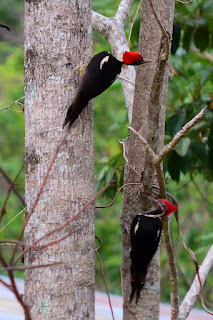 After consulting the bird book I believe one is male and the other female. You have lots of company and fun things to observe. Love the photos. Thank you MA! There's lots of bird activity now as it appears to be mating season.